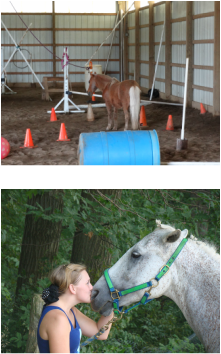 Equine Assisted Therapy available at Stable Solutions. Youth programs to assist with attachment and bonding, behavioral issues, ADHD. Servicing families with relationship and communication issues. Treating trauma related emotional struggles, PTSD, depression, anger management and court ordered at risk youths as well as providing growth and learning programs for Non-risk youths. Offering Leadership and Team Building programs, Services for Veterans, Active Military, and Their Families. Search box on left for more information or feel free to call 330-733-3132. Building Healthy Relationships & Rhythmic Riding. Natural Lifemanship is based on the neuroscience of human and horse brain development, the impact of trauma and the role of relationship in recovery and healing. Horseback riding is known to improve the quality of life and health for those with special physical, cognitive, emotional and social needs. Participants are children and adults with traumatic brain injury, spinal cord injury, cerebral palsy, ADD/ADHD, down syndrome, hearing, speech or vision impairments, stroke, cancer, genetic disorders, developmental delays, multiple sclerosis, and other disabilities. Families have often expressed how challenging it is to juggle the demands in life with their personal well being. Our goal is to help those families maintain their overall well being offering a flexible schedule, no long term requirements, small groups and a welcome environment. 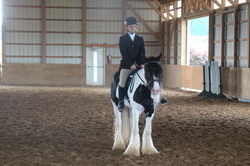 Lessons are taught by a licensed social worker, certified riding instructor. Get out of Office and come to the Barn to develop your Corporate Team or get your Continuing Education Requirements met. Great way to gain self awareness and have a memorable experience that leads to the greater likelihood learning will be retained. Therapeutic Sessions - Yoga, Drum Circles and Rhythmic Riding. We started raising Mini Aussies about 15 years ago. We usually have one or two litters a year, one in the spring and one in the fall. We love Aussies and they are great therapy for everyone here. We started out with three Gypsy Vanners thanks to a wonderful lady. Sadly her husband passed away due to an illness and she decided to sell her farm and her gypsies. We could not decide on which one to get so she sent us home with all three. This lady was a real blessing to my family and those who participate in our program. We now have two more that were born and raised on the farm. We became known as The Pony Place after my father had a brain injury and my daughter was diagnosed with a heart condition. I decided to stay at the farm and care for my family. I accepted the job of riding and caring for abused and neglected ponies here at my farm and my kids were thrilled. I learned that the ponies just needed to be given a chance and practice some basic skills, very similar to humans. We had many ponies in training on our farm and that's how we got the name "The Pony Place". I was home raising my children, helping ponies get a chance at life, providing kids with a great experience and I was taking care of my dad in his last years. I've learned many life lessons from the animals, family and my profession which I enjoy sharing with others. We are now known as Stable Solutions. 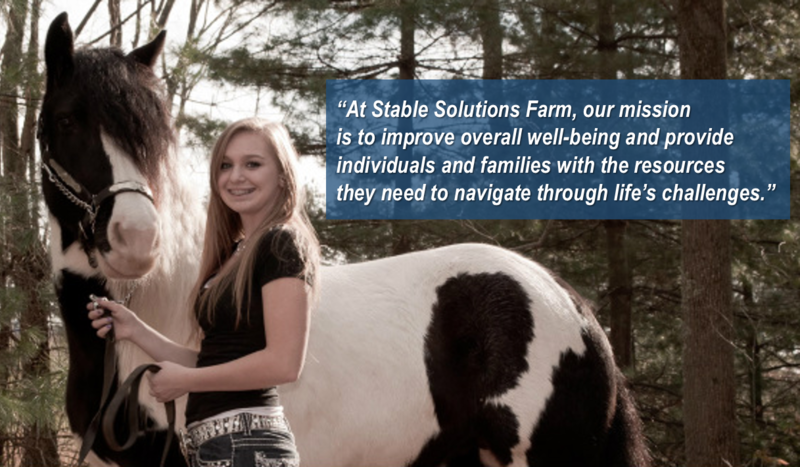 We would like to reach out to our community assisting families and youth who can benefit from Therapeutic Activities, Equine Assisted Psychotherapy and Equine Learning Programs. Equine Assisted Growth & Learning Association, EAGALA Certified. 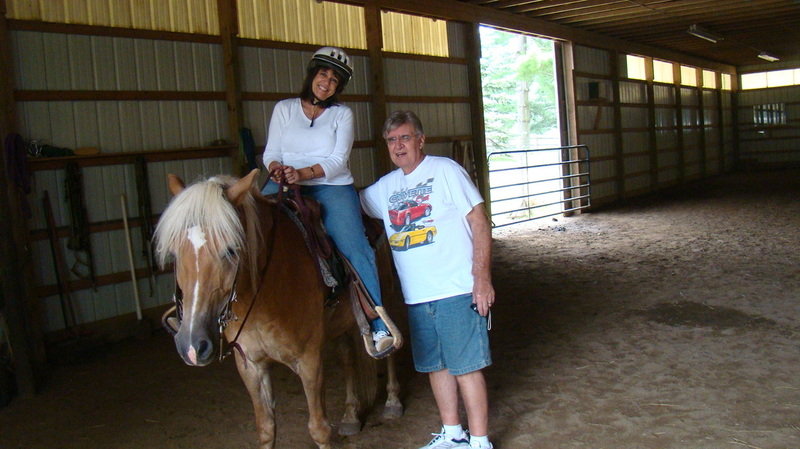 Professional Association of Therapeutic Horsemanship, PATH Certified Riding Instructor.